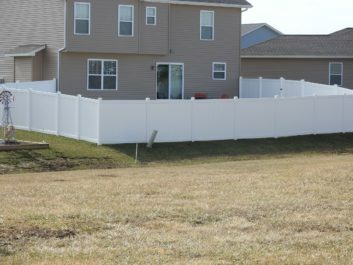 Are you in need of fence installation services to enhance your yard in Columbia, Illinois? 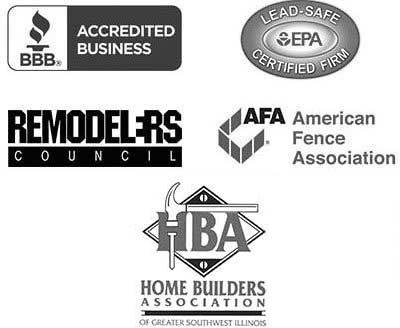 If so, Chesley Fence & Deck is the company for you. We have been in business since 1967 and have installed more fencing than any other fencing company in the area, making us one of the most experienced and reliable companies around. What’s more if you choose our fence installation services you will be able to select from three different fencing options for your yard – vinyl fencing, Western Red Cedar fencing, or aluminum fencing. Our vinyl fencing is low maintenance and more durable than most other fencing options, while our premium cedar fencing has a beautiful, natural appearance and resists warping and cracking far better than other wood fencing. And our aluminum fencing has no visible rivets and screws and undergoes an 11-step powder coating process to prevent flaking. Additionally, because we offer varying styles of fencing, we can virtually guarantee that you will find perfect fencing option to suit your specific needs and budget. Contact Chesley Fence & Deck today to learn more about the fence installation services that we offer to residents of Columbia, IL and surrounding communities. Thank you! Your crew did a wonderful job. My fence looks beautiful! Thank you.